The war in Eastern Ukraine has been ongoing for four years now, and an end is not to be seen at the moment. Since 2014 the OSCE Special Monitoring Mission has made a significant contribution to the conflict and crisis management in Ukraine. 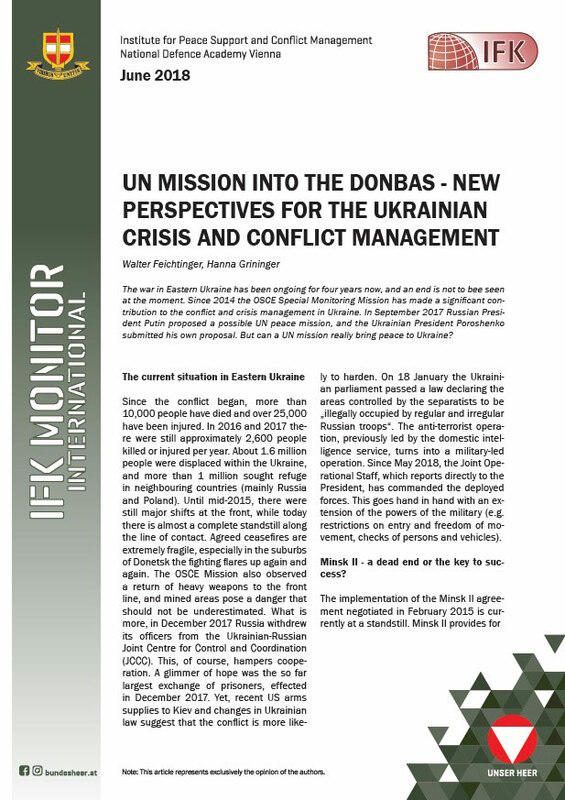 In September 2017 Russian President Putin proposed a possible UN peace mission, and the Ukrainian President Poroshenko submitted his own proposal. But can a UN mission really bring peace to Ukraine?